Trendy or classic? Modern or old-fashioned? It's easy to get over-whelmed by all of the options when remodeling. There's so many ways to go, but which one is right for you? Consider some time-tested trends when redesigning your kitchen in 2018. You'll be sure to get a lot of value out of your remodel by following any of these trends. White or even off-white doors create a light and clean looking in a kitchen or bath. Cabinets in tones of white are enduring and versatile, and appear quite often in cottage, traditional, and even modern design schemes. Consider the simple lines of Shaker styled doors to complete this light and airy look. Digging through your cabinets for the same item over and over gets old. Consider the latest options of pullout trays, removable cutting boards, and lazy susans to make all of your kitchenware more accessible. Clean, minimalist looks are at the forefront of trends for 2018. One way to incorporate a minimalist look into your kitchen is to declutter your counters. Drawer inserts for china, spices, and cookware make this easier than ever by giving your kitchen more real estate to stow away these items. And as a bonus: you'll feel a lot more organized! A wonderful way to add dimension to your space and break up the wall to wall cabinetry look. Adding glass panes to your cabinetry is also great for displaying your favorite china. Customize your kitchen cabinets with furniture-style details. Cabinet-style cupboards and islands will feel like fine furniture, but still offer all of the amazing perks of modern cabinetry. Turned legs, freestanding buffets, and built-in china hutches are all great ideas to give your kitchen a more welcoming feel. What’s old is new again. Open shelves have made their way back into many new kitchen designs this year. They're perfect for displaying your favorite items. Or, make them purposeful by keeping your most used pieces within easy reach! Are you interested in trying any of these trends in your new Founder's Choice kitchen? 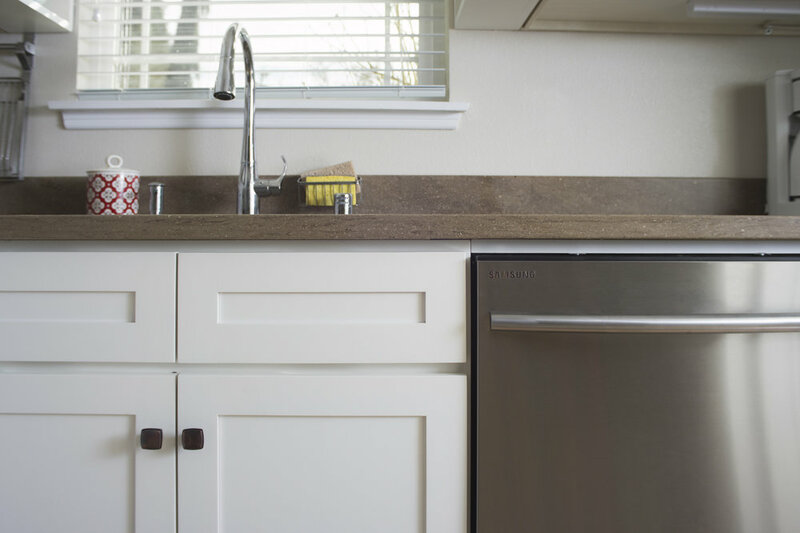 Explore our Cabinet Features page and learn more about the different ways to customize your kitchen remodel this year. How much should I spend on a kitchen remodel?